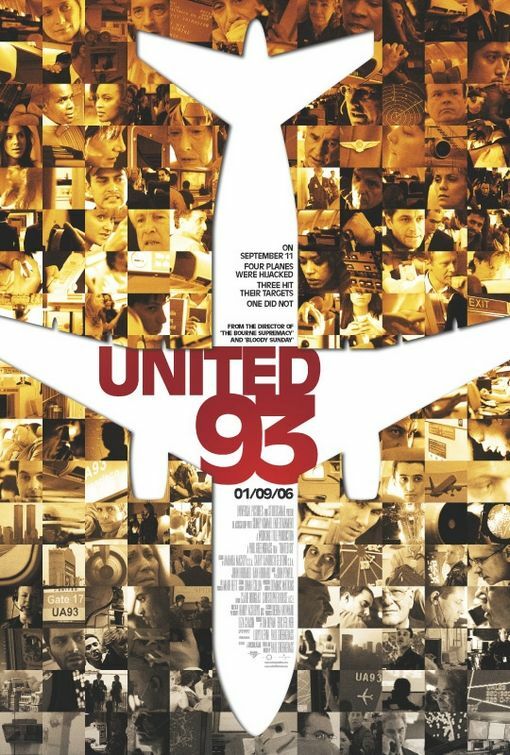 Brian Terrill's Small-Screen 66 - #58: "It's Academic"
Don’t quote me on this, but today’s selection just might be the only local TV series on this list, as opposed to a nationwide network or cable program. It’s also the closest I’ve come to being on “real TV”…yet. For the full story, we’re going to need to look back to that bygone era known as…MY QUIZBOWL YEARS. Actually, it might be beneficial to start a bit further back still. 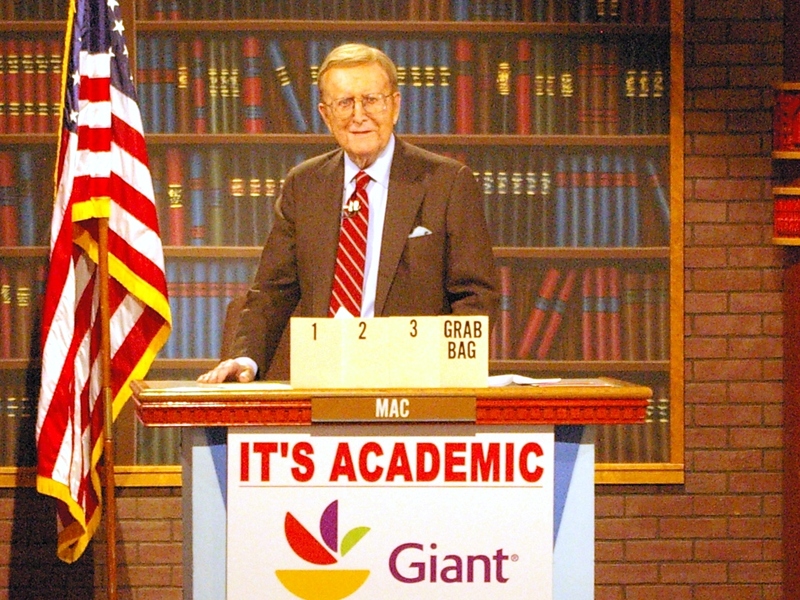 The buzzer-driven trivia contests which would become Quizbowl originated in the 1950s, at roughly the same time as other television quiz shows. But the “sport” first attained something resembling its current form in 1977, when the College Bowl Company (CBCI) refined the rules and instituted a system for regulating inter-collegiate competitions. 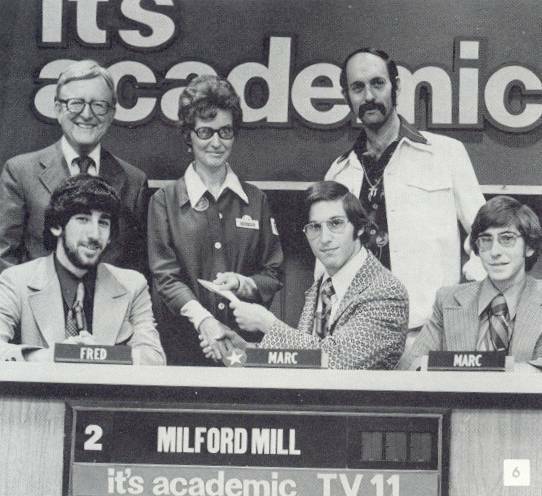 Quizbowl variations soon spread to high schools as well, and in the following decades new rule systems cropped up to govern both high school and college play: The intimidatingly-named “Academic Competition Federation,” or ACF, founded in 1990, and “National Academic Quiz Tournaments,” or NAQT, launched in 1996. Most Quizbowl tournaments across the country today now adhere to either ACF or NAQT rules, and such was the case when I arrived on the scene circa 2005. And somewhere in the midst of it all, It’s Academic came into the picture. 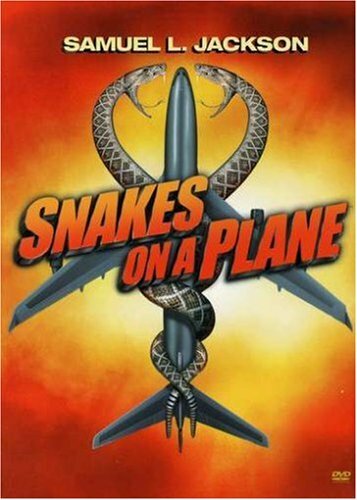 I haven’t been able to find much about the show’s early history, but my efforts to do so have been less than thorough. Perhaps by the time this post makes its way to Earn This, I will have taken the initiative to delve deeper. In any case, It’s Academic is just one of many local programs across the country dedicated to showcasing high school-level Quizbowl talent. Purely by coincidence, however, OUR version (broadcast by DC-based WRC-TV, aka NBC 4) just happens to have been airing since 1961, making it THE LONGEST-RUNNING QUIZ SHOW IN TELEVISION HISTORY. 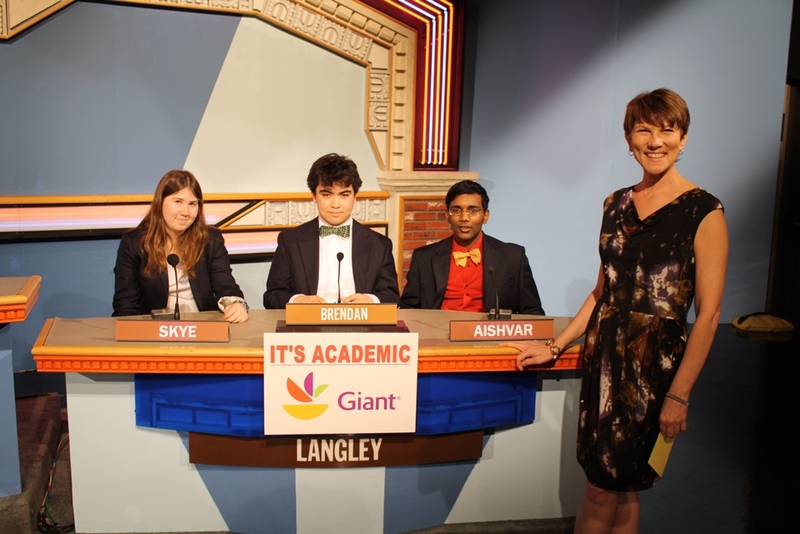 In the DMV area (DC/Maryland/Northern Virginia), “Quizbowl” and “It’s Academic” are often used interchangeably. Technically, though, Quizbowl teams practice and compete with one another according to the ACF and/or NAQT rulesets, engaging in tournaments at the regional, state, and national levels. It’s Academic, on the other hand, is completely separate from this system of competitions, and can be seen as a regional tournament in its own right, operating by its own unique set of rules. But since each high school sends only its top team to compete, and (naturally) because it provides TV exposure, It’s Academic is highly regarded in spite of its relatively small broadcast range. Perhaps I’d have more to say about the show if I’d ever actually made it on the air…but it was not to be. Now, please excuse me while I commandeer the bulk of this post to talk about my personal Quizbowl experience, rather than It’s Academic itself. I joined the Thomas Jefferson “It’s Ac” team in 2005, my sophomore year of high school. Now, I’ve known friends from other schools who played on their respective Quizbowl teams. And at most of those schools, “played on the Quizbowl team” is essentially synonymous with “got to be on TV.” But at TJ, “It’s Ac” participation was so high that we typically fielded FIVE ENTIRE TEAMS at most tournaments. These teams were ranked by skill level, with “A Team” being the highest, and “E Team” the lowest. Only A ever made it to the Channel 4 soundstage. Early on, I impressed the high-ranking muckity-mucks with my mad trivia skills. I came into the program with a group of fellow tenth grader friends, dubbed “the Rudas” after my friend Felix’s Chinese name. And for my first year, I consistently ranked at or above the same level as my fellow Rudas. I demonstrated a particularly keen grasp on topics involving (surprise surprise) popular culture, an area of knowledge officially referred to as “trash,” but nevertheless included as a category in most Quizbowl tournaments. Before we proceed further, I feel a brief explanation of Quizbowl procedure is in order. Teams consist of up to 4 members (with an occasional fifth man in tow as a sort of understudy). Each member has a Jeopardy-style buzzer. A reader sits at the head of the room and reads “tossup” questions aloud. At any point during a tossup, players can “buzz in” and attempt to answer – a significant difference from Jeopardy, in which contestants must wait for a question to end before buzzing. If a team correctly answers a tossup, they gain 10 points. If they do so after buzzing in very early, it counts as a “power,” and they earn an additional 5 points. But, if a contestant buzzes in early and delivers a wrong answer, they “neg,” losing 5 points for the team. Correctly answering a tossup allows a team access to a “bonus,” a multi-part question often thematically linked to the tossup it follows. On bonuses, team members may “confer,” talking amongst themselves to agree upon an answer. 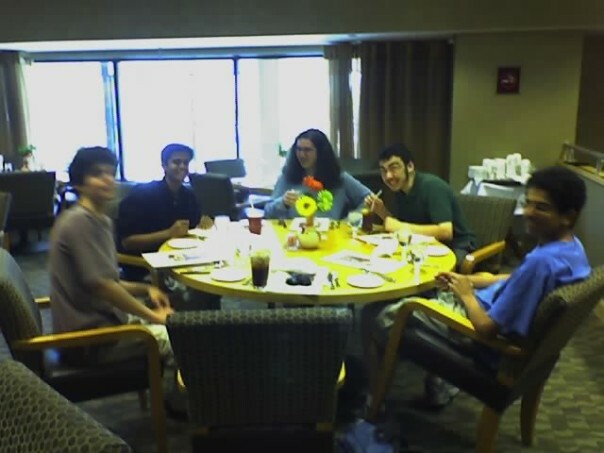 Negs aside, my fast-fingered trash mastery saw me through, and by the end of my sophomore year, I competed in the NAQT nationals tournament in Chicago, as a member of TJ’s B Team. I even got to meet Ken Jennings, fresh off his historic Jeopardy run and serving as a reader (Jennings covered the event in his book Brainiac, and spent more than a page lauding the TJ teams). B Team in all its glory. But that’s where my rise to local quiz-show stardom ended. The next year, the new student captain of A Team, and by extension all of TJ Quizbowl, held each team member to a strict question-writing quota. You see, in addition to attending tournaments, TJ held one each year, and thus needed 16 rounds-worth of questions to ask competing teams. However, I tended to write questions revolving around things I knew (i.e., “trash”). So my questions were never accepted. So I never met quota. And eventually, the captain decided to unilaterally banish students who failed to meet quota – first from tournaments, and then from after-school practices, period. Thus, I spent Junior year languishing in It’s Ac exile. The next year, a new captain took the helm, and the high-ranking members (now including several Rudas) welcomed me back into the fold. But the damage had been done. The B Team was now made up exclusively of Rudas, but I never again climbed higher than C Captain (roughly equal to a B member). Mohit, a Ruda who had played on C Team at Nationals our sophomore year, was now B Team captain…and actually made it to TV when a regular A Team member had a time conflict. Coulda been me, man. I coulda been a contender. 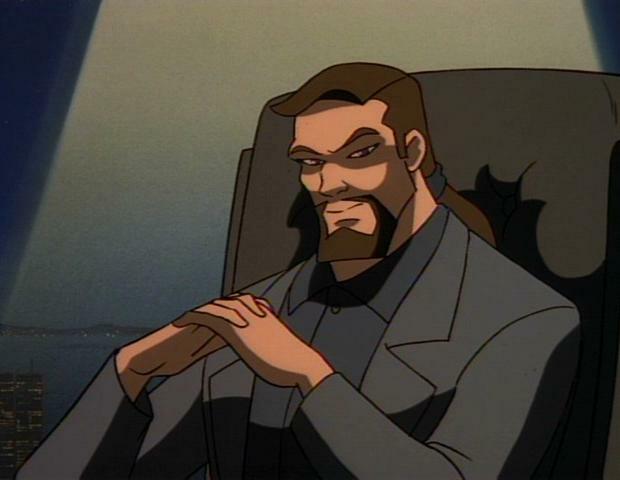 In the end I did manage to work two whole questions into the TJ tournament my senior year: One about the philosopher Diogenes, and one “trash” question about David Xanatos, who will be appearing here again later in this Countdown. And there you have it. My It’s Ac saga. Now, I look at contestants from other schools appearing on the show and wonder whether the path that lead them there featured half the drama of mine. Now that I’ve beleaguered you with my life story, I suppose you’ll want me to actually say a few things about the actual show I’m supposed to be talking about. Well, fine. It’s Academic is significantly different from either ACF or NAQT competitions. Three teams compete at once, and play is made up of several rounds: Some feature questions which operate like “tossups” (any player may buzz), and others more closely resemble bonuses (a string of questions is directed at a single team, whose members may confer). On the whole, questions on the show tend to be slightly easier (and less intricate) than those asked in other Quizbowl competitions. WRC-TV employee Mac McGarry hosted the show for a full fifty seasons, from its inception in 1961 through 2011. He died two years after retiring, at the age of 87. Such a legendary run is obviously hard to follow, but successor Hillary Howard rubs me the wrong way all the same. She frequently attempts to make jokes during the competition, which come off as both unfunny and out of place in the relatively serious, “academic” atmosphere. -Cheerleading teams often tag along to perform at “It’s Ac” tapings, a relatively rare occurrence in “nerd sports.” Take that, chess team and marching band! You can keep up with Brian’s Small-Screen 66 countdown here.